The French authorities waived taxes amounting to over Rs 1,000 crore (Euro 143.7 million) for a French-registered company of the Anil Ambani group within six months of the announcement by India to buy 36 Rafale jets in 2015, French newspaper Le Monde said. 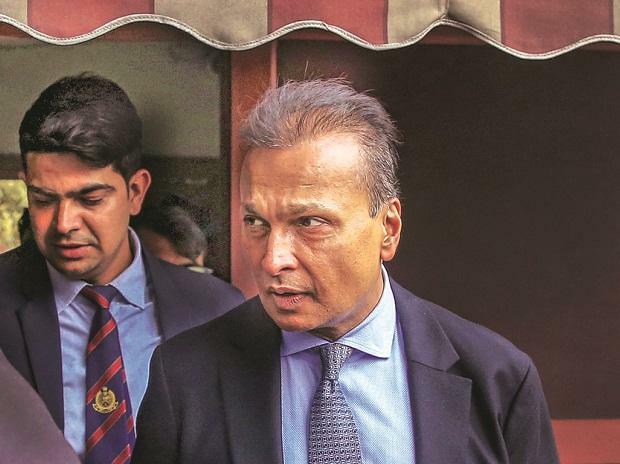 It claimed that “between February and October 2015, while the French were negotiating the Rafale contract with India, Anil Ambani got a tax waiver of Euro 143.7 million from the French state”. When contacted, a Reliance Communications spokesperson denied any favouritism by France and said Reliance FLAG Atlantic France SAS, a subsidiary, owned a terrestrial cable network and other telecom infrastructure in France. “During the period under consideration by the French tax authorities — 2008-2012 — i.e. nearly 10 years ago, Flag France had an operating loss of Rs 20 crore (Euro 2.7 million). The French tax authorities had raised a tax demand of over Rs 1,100 crore for the same period. According to the French tax settlement process and as per law, a mutual settlement agreement was signed to pay Rs 56 crore as a final settlement,” the spokesperson said, adding that the tax demand was completely illegal. The company said the settlement was done much before the Indian government decided to purchase Rafale jets. In a statement, the Indian defence ministry said: “Any connections drawn between the tax issue and the Rafale deal is totally inaccurate, tendentious, and a mischievous attempt to disinform.” Neither the period of the tax concession nor the subject matter of the concession relates even remotely to the Rafale deal concluded during the tenure of the present government, it said. Reacting to the controversy, the French government said a global settlement was reached between the French tax authorities and Reliance FLAG, in a tax dispute pertaining to the period 2008-2012. “This settlement was conducted in full adherence with the legislative and regulatory framework governing this common practice of the tax administration. It was not subject to any political interference,” French Ambassador to India Alexandre Zeigler tweeted. The Le Monde report revealed that Anil Ambani’s French telecom company was under scrutiny. “The company was investigated by the French tax authorities and was found liable to pay Euro 60 million in taxes for the period 2007 to 2010. Reliance offered to pay Euro 7.6 million as a settlement. The French tax authorities refused. They conducted another investigation for the period 2010 to 2012 and asked for an additional Euro 91 million in taxes,” tweeted Julien Bouissou, the South Asia correspondent for Le Monde, who wrote the story with Anne Michel. By the time Prime Minister Narendra Modi announced the plans to buy Rafale fighter jets from Dassault in April 2015, the Anil Ambani-firm had owed about Euro 151 million to the French government. However, six months after Modi’s Rafale announcement, in October 2015, the French tax authorities accepted only Euro 7.3 million from Reliance as a settlement, instead of the much bigger sum of Euro 151 million, Le Monde reported. Congress’ chief spokesperson, Randeep Surjewala, attacked the government, saying layers of corruption and money trail had been unveiled in the Rafale saga. “This is called zero-sum choices, startling tax concession and Modi ‘kripa’ (blessings),” he said.